The first Anglo-Americans came in when Indians were rumored to have stolen 500 horses, and a group of lawmen came to the future site of Brownwood to retrieve them. The leader of that group was Captain Henry Stephenson Brown, after whom the county is named. Around 1838, surveyors arrived to mark land available for purchase. The state legislature passed an act establishing Brown County on August 27, 1856. An increase in population by draft dodgers from the Civil War soon created problems. Lawlessness ran rampant and the citizens, recognizing the need for a township, established Brownwood in 1875. Around 1869, problems over the water supply and a disputed land title incited many citizens of Brownwood to move from the east to the west side of Pecan Bayou. Though people continued to live on the site, the east side of Pecan Bayou was not considered to be a separate community until the mid-20th century, when it was given the name of Early. The town was named for Walter U. Early, an attorney who donated land for several local schools. Brownwood and Early have 34 manufacturing firms employing over 20% of the area's available workforce. In addition to strong academic programs, area schools provide a wide array of student programs to meet the needs created by diversity. The award-winning Early Independent School District is one of the BEST in the entire state of Texas! Many families move to Early just to be able to have their children attend this outstanding school system. Private school facilities include Living Word Christian Academy and Trinity Christian Academy. University and vocational facilities in the area include Howard Payne University, Texas State Technical College, Central Texas Commercial College and Ranger Junior College. Several other universities and junior colleges are within easy commuting distance. Brownwood Regional Medical Center is a 178-bed modern acute care facility offering advanced technology and medical services by highly skilled health professionals. Specialized facilities are the Walker Cancer Center, Geriatric Psychiatry program, Outpatient Center, Behavioral Medicine Unit, Women's Center, Outpatient Diagnostic Center, Physical Medicine Department, Health Education Program, Emergency Department, skilled nursing facility, Magnetic Resonance Imaging Center, rehabilitation unit, Heart Center, Senior Friends Chapter and medical telemetry unit. 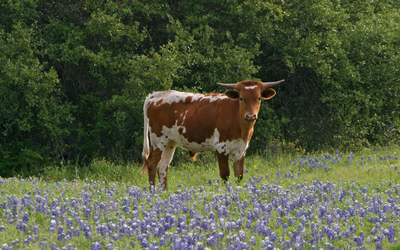 Lake Brownwood is a 7,300-acre body of water featuring numerous recreational offerings. Lake Brownwood State Park offers 538 acres of swimming, fishing, boating, hiking trails, camping areas, nature study opportunities, shelters, cabins and much more. Brownwood alone maintains over 18 city parks which include baseball fields, basketball courts, tennis courts, sand volleyball pits, public swimming pools, picnic pavilions, hiking trails and RV hookups. Other recreation in the area includes team sports leagues. You can participate in baseball, softball, soccer, basketball and volleyball leagues. Golf is also popular at both our private and public courses. 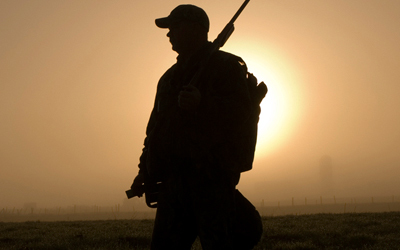 Finally, excellent hunting is available nearby for deer, quail, dove and turkey. As you can see, there's a lot available to anyone who makes their home in the Brownwood/Early region. Contact us today for more on the area and the properties we have available. We'll help you discover the home of your dreams.